Narew River Valley - divided into Upper, Marshy and Lower. One of the largest Polish Reservoir was created in late 80s. 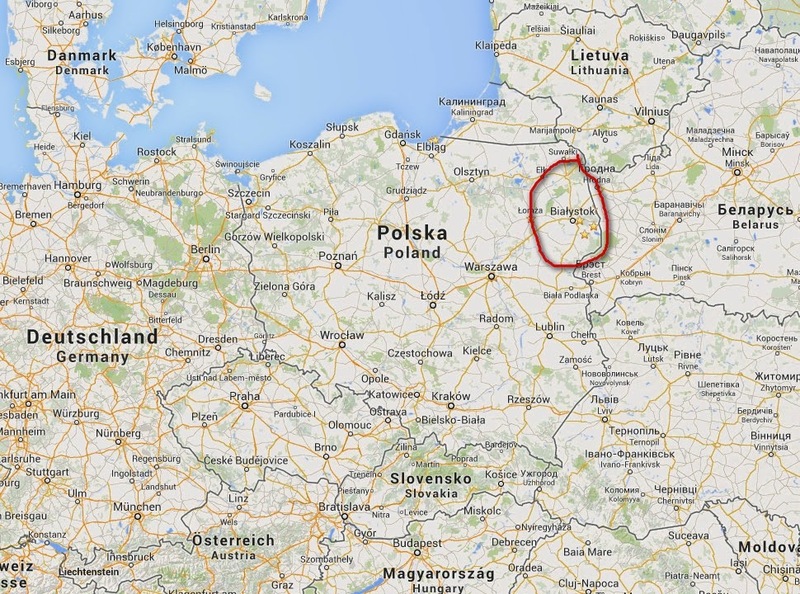 It is located right at the border with Belarus, in the valley of Narew River. There is a railway dam in the middle of Reservoir which is accesible with cars and excellent for birdwatching. Eastern part of the reservoir is shallow and covered largely with sedge and reed. Numerous terns, grebes, gulls, passerines have their breeding grounds here. Eastern vast "marshes" also host numerous raptors - White-tailed Eagle (regular), Lesser Spotted Eagle (regular), Osprey, Spotted Eagle, Short-toed Eagle (summer), Red-footed Falcon (summer) and others. How to get there? After passing small pump station south of Cisowka Village follow small bumpy road to the east and get to the corner of the forest by the railway. From here on you may either drive or walk along the dam till the bridge (it's not possible to pass it with the car!) Western part of the reservoir is deeper and usually occupied by fishermen. The dam in Bondary and southern steep bank near Tarnopol are worth visiting during autumn migration (divers, diving ducks). Fish ponds near Bachury (NE) are connected with reservoir and depending on water level create nice conditions for terns, waders and gulls. Citrine Wagtail several pairs breeding since 90s. Recently mostly around Babia Gora (SE). Eagle Owl - two or three pairs occur in eastern part of the lake. Great White Egret - regular and almost all-year bird.